Salespeople only spend a third of their time selling. 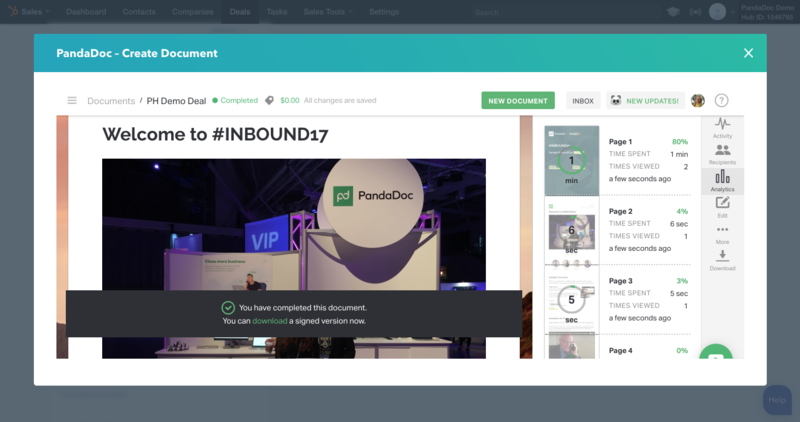 That's why PandaDoc and HubSpot have teamed up to make non-selling activities easier. 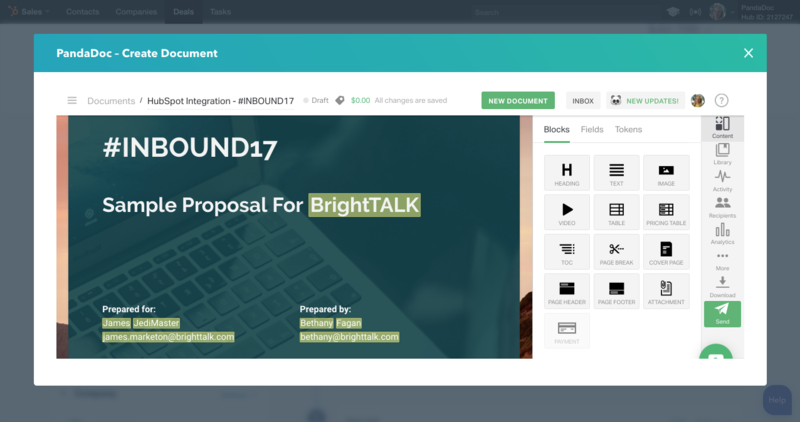 PandaDoc allows you to create, send, eSign, and track quotes, proposals and contracts all without leaving HubSpot CRM-- saving you valuable time. This integration requires both PandaDoc and HubSpot. Learn more. Wow your customers by creating custom sales proposals specific to their business. 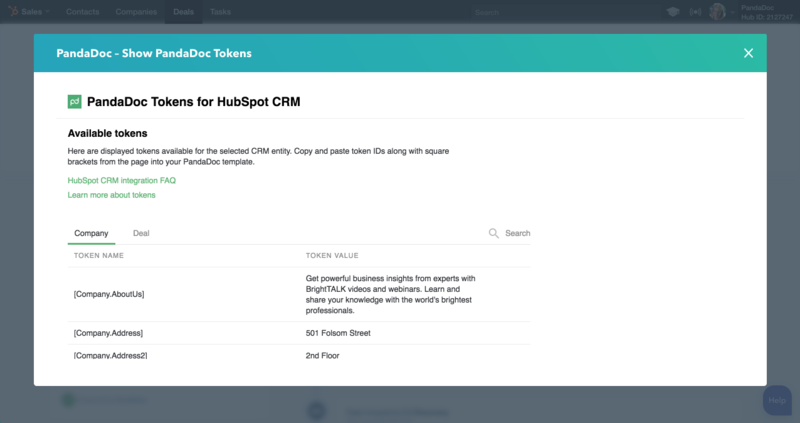 With the PandaDoc and HubSpot CRM integration you can pre-populate your documents with crucial information from your Contact, Companies, and Deal objects. Ever wonder what happens after you click send? PandaDoc makes sure no deal will ever go dark again with our robust analytics. In HubSpot CRM, you can see when your document was opened, viewed, and for how long your recipient spent on each page.